Monteverde at Oldstone is the perfect venue for corporate events. It is set upon 27 wooded acres with breathtaking Hudson River views. Less than an hour drive from Manhattan, Monteverde is an 18th century estate which offers any size group complete privacy for corporate off-site meetings with several break-out locations within the mansion and on the grounds. Monteverde also offers our grand tented venue, which can accommodate 350 people for dinner and dancing and 450 people for a cocktail reception. To contact, please call (914) 737-6555 or email Mary Ellen Fabry, Director of Events, to discuss hosting a retreat at Monteverde at Oldstone. 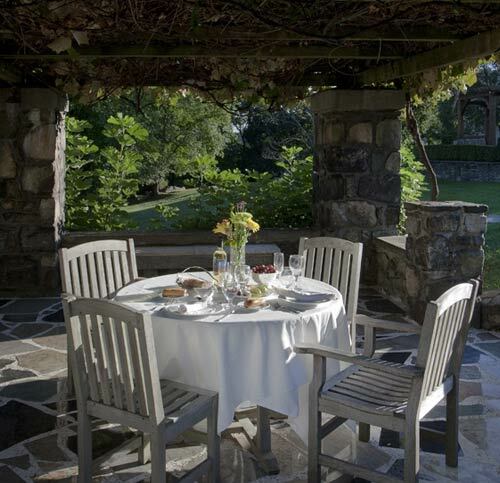 Our estate features two suites: the Van Cortlandt and the Ludlow Suites; and seven standard guest rooms: the Hope Latham Guest Room in the mansion, and six European guest rooms in the Garden House.